Indians work around the world in a variety of countries. And one of the hardest things about being a non-resident Indian (NRI) is that in most countries it is extremely difficult to watch your favorite Hindi-language channels. But now that''s a problem with an easy solution. 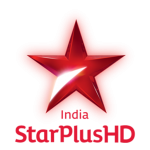 Subscribing to YuppTV will allow you to watch Indian television such as Star Plus Channel live in Australia, United Kingdom, Malaysia, Europe, New Zealand, Middle East, Saudi Arabia, Qatar, and UAE. Whether you live in the Australia, United Kingdom, Europe, Malaysia, Saudi Arabia, or anywhere in the Middle East you can now watch a large number of Hindi-language TV channels, live and through a variety of devices. With a YuppTV subscription, you can watch on your computer, Smartphone or other internet-connected devices. Those include the Amazon Fire TV, Samsung Smart TV, Vizio TV and the YuppTV media player. It''s an easy way to bring a bit of home with you wherever you go. The Yupp Hindi Gold package lets you watch Star Plus live, Zee TV, Star Bharat as well as a large number of news, music, faith, and lifestyle channels. The Yupp Hindi Diamond package includes all of those channels, along with movie channels such as Zee Cinema, Zee Business News and some additional movie and music networks. Both packages can be purchased by the month or in 6 or 12-month subscriptions. The longer you subscribe- the more money you save. Besides the live television packages, YuppTV also offers an optional YuppTV Movies or Eros Movies feature film package, which adds hundreds of films a month to your YuppTV subscription. Also, there is a free "catch-up" feature available for some channels, which allows you to watch some of the shows and movies you''ve missed at a later date. Whether you''re someone who''s temporarily working outside India or someone who has permanently relocated and misses a bit of home, YuppTV provides the easiest way to watch Star Plus online from the comfort of your own home. Here are some of the top TV shows broadcast on Star Plus. Ishqbaaz is one of the top rated television shows on Star Plus. The show is very much loved by the audience for its portrayal of family emotions and issues. The story is of a Rich family and their sons who face issues in their business as well in their personal life. The story also includes a number of twists which helped to keep the audience hooked to it. This show airs every day on Star Plus at 10:00 PM every day. This show which successfully running its fifth season is the story of a little girl who is constantly teased because of the absence of her father. The story has a strong background which takes place at the time of riots between Hindus and Muslims. With this fuelling, the present situation the drama and the emotional sequences that take place has made the series more indulging. The show is currently one of the top rated television series in India.